A man’s needs are few. The simpler the life, therefore, the better. 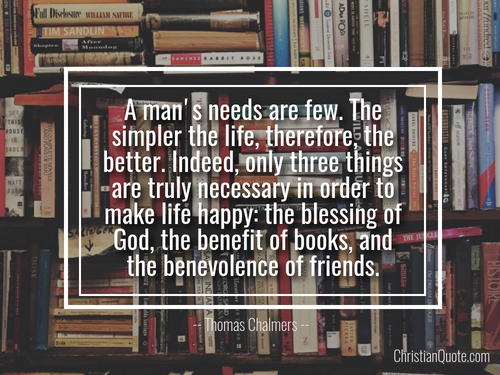 Indeed, only three things are truly necessary in order to make life happy: the blessing of God, the benefit of books, and the benevolence of friends. The best way to overcome the world, is not with morality or self-discipline. 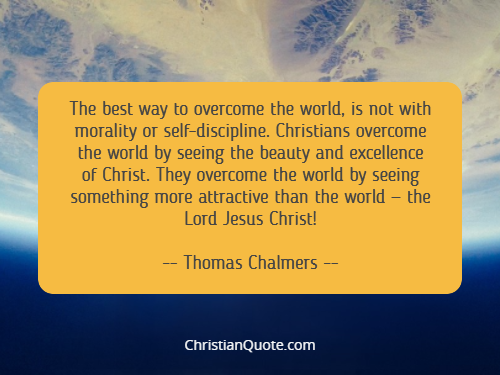 Christians overcome the world by seeing the beauty and excellence of Christ. They overcome the world by seeing something more attractive than the world — the Lord Jesus Christ! 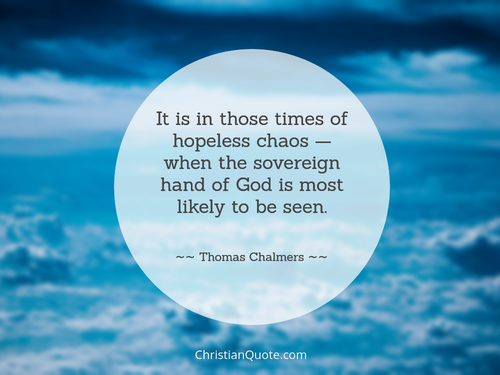 It is in those times of hopeless chaos — when the sovereign hand of God is most likely to be seen.